The results of your biopsy report or PET/CT scans may upset you, but it doesn’t mean you should get desperate. Knowing your options in alternative medicine like virotherapy (or sometimes called Rigvir® therapy) may become a life-turning point. Rigvir® is a virus which attacks only malignant cells posing no threat to the surrounding tissues. 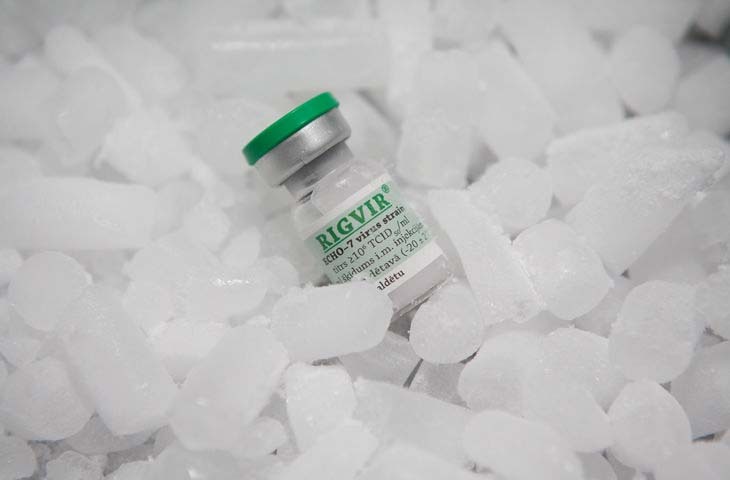 Once injected into your muscle, Rigvir® reaches the tumor in your bladder and attacks cancer cells from the inside. Rigvir® is non-pathogenic. While other viruses fuel diseases Rigvir® doesn’t. Its only function lies in detecting and annihilating cancer cells. Virotherapy for bladder cancer has little side effects. Normally, patients report slight body temperature increase (up to 37.5°C / 99.5°F), but the most common feelings are drowsiness and fatigue. This is because your organism mobilizes its immune system to fight the disease. Latvia is the world’s center of excellence for virotherapy because Rigvir® was originally invented and registered there. And that’s the place where you can qualify for virotherapy treatment for bladder cancer. 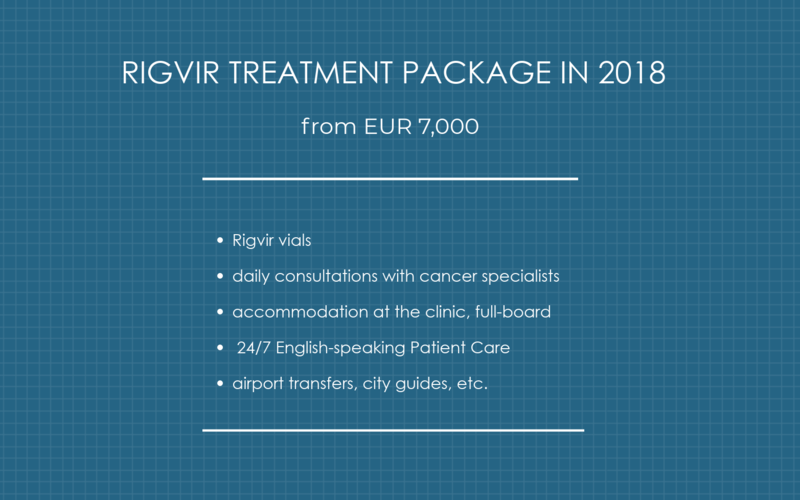 As virotherapy is becoming increasingly widespread, there is a number of countries offering Rigvir® therapy including Germany and Mexico. Collecting all of these files is easy if you live in the U.S. However, it may take up to a month to gather them all if you reside in Europe. So start now! These records are needed for the oncologists with more than 50 years of experience to evaluate your case. The results of such free evaluation will show whether it’s reasonable for you to take Rigvir® for bladder cancer or not. The assessment takes no longer than 3 business days. When the assessment is ready, you’ll receive the answer to your email from the patient coordinator who will also answer all of your questions you may have while collecting the reports. Ok, now I’m admitted to virotherapy treatment for bladder cancer. What now? I can’t fly because I’m too weak. Can I still get virotherapy treatment for bladder cancer? Yes, you can still benefit from virotherapy treatment for bladder cancer. Please click the red button at the end of the article to learn more. Please note that Rigvir® is far from being an all-in-one-solution medicine. If the cancer specialists in Latvia will conclude that virotherapy cannot be applicable in your case, you will be notified immediately. In this article we tried to squeeze in as much information as possible about the virotherapy for bladder cancer but we know you still have questions. Please click the button below and we will get back to you during the next 24 hours (but usually sooner) with more details about the Rigvir® therapy. Patients reading this article also inquire about virotherapy for stomach cancer and virotherapy for kidney cancer.